Asus has recently announced its new gaming peripherals under the brand STRIX. These new gaming gear includes the Asus Strix DSP gaming headset with audio station, Strix Claw optical gaming mouse, Strix Tactic Pro mechanical gaming keyboard, and Strix Glide Series gaming mouse pads that includes Strix Glide Control and Glide Speed. “STRIX” is actually an ancient Roman and Greek word for owl. For Asus, “Strix means the keenest hearing, the sharpest eyesight and the ability to feel the environment, enabling the player to detect and react to even the slightest movement. 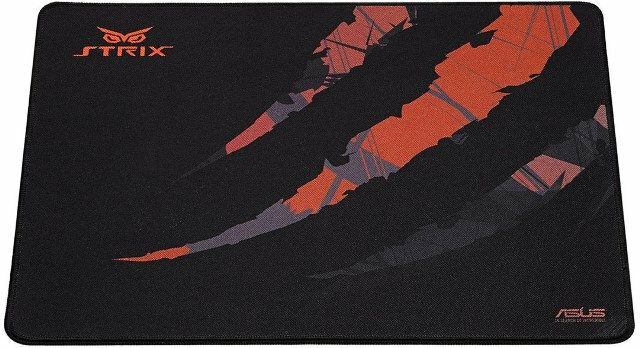 Strix means survival on the very edge of instinct. Strix is in gamers’ blood, just as it is in ours.” Check out the rest of these new gaming peripherals’ features and specifications below. The Asus Strix DSP is a superior multi-platform gaming headset engineered with powerful 60 mm neodymium-magnet drivers, full-size hexagonal ear cushions (130 mm across at the widest point), accompanied by a driver-free plug-and-play audio station that processes native 7.1-channel surround-sound audio. Strix DSP sharpens the wearer’s hearing for utterly-convincing audio experiences with unrivalled punch and immersion. Every gunshot and footstep is reproduced with great clarity, bringing the battlefield to life. Strix DSP’s large ear cushions provide a snug fit that remains comfortable for even the longest gameplay sessions. The headset also benefits from a travel-friendly foldable design that allows the ear cups to lay flat. The USB plug-and-play audio station that’s part of the Strix DSP package means gamers enjoy true 3D surround sound with Dolby Headphone and Dolby Pro Logic IIx technologies. Unlike competing models, Strix DSP directly processes native 7.1-channel audio to virtual 7.1 surround sound, so there’s no quality-distorting down-mixing by the PC. The result is audio that’s truly exhilarating. The audio station also includes highly-effective environmental-noise-cancellation (ENC) technology that filters out up to 90% of external noise for clear in-game communication. A dedicated speaker-output jack and switch means switching from headset to speaker output is a cinch, with no need to mess around with software controls. Strix DSP adapts its output to suit a variety of genres, including first-person shooter (FPS), racing and action/role-playing games (RPGs). The gamer chooses the relevant audio profiles and Strix DSP boosts the critical audio details – instantly. 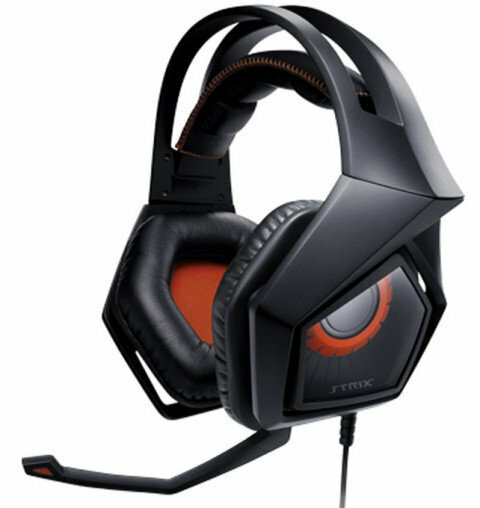 Compatible with PCs, Macs, the PlayStation 4 games console and many smartphones and tablets, Strix DSP is one of the most versatile gaming headsets available. The Asus Strix Claw is the ultimate gaming mouse for first-person shooters, crafted for those who demand killer precision, complete comfort and the competitive advantage – putting everything under control. The gaming-grade native 5000dpi (dots per inch) optical sensor offers true 1:1 tracking, angle-snap-free movement and flexible DPI controls to ensure that every movement is tracked accurately and reflected instantly. Movement is tracked at speeds of up to 3.32 meters per second (130 inches/sec) with accuracy adjustable by 50dpi increments, so Strix Claw easily configures to match every situation and for tailored gaming precision. There’s even a DPI clutch button that lets serious snipers reduce the DPI instantly for super-accurate aiming. An LED indicator shows the current DPI status. Strix Claw has a total of eight buttons, three of which are independently programmable. The intuitive Strix software is used to assign any key, mouse command or macro, enabling gamers to shift vital commands from the keyboard to Strix Claw – right under the fingertips. ASUS engineers built Strix Claw with high-quality Japanese-made Omron D2F-01F switches for full-comfort gameplay, no matter how long the session. The design of D2F-01F is adored by the gaming community because it offers more travel than many other switches for smoother clicking actions and great responsiveness, reducing muscle-strain and tingling fingers. Strix Claw’s right-handed ergonomics are perfect for all grip styles, and especially great for the fingertip and claw-style grips that work best in first-person shooters. The streamlined shape provides exceptional comfort and a great grip, allowing gamers to move quickly, precisely and with complete confidence. Strix Claw is also supremely easy to set up and personalize, with a choice of software or plug-and-play hardware modes. The built-in 64KB memory lets gamers attach and play anywhere, with no installation hassles. Strix Tactic Pro is an ultra-durable mechanical keyboard engineered with lightning-fast response and a choice of Cherry MX switch types: Black, Blue, Brown or Red. These high-quality switches have a lifecycle of 50-million keystrokes, outperforming conventional keyboards tenfold (10X). They’re also fantastically tactile and brilliantly responsive, helping gamers to up their actions per minute (APM) to the max. Traditional keyboards suffer ‘ghosting’ that stops some keys being registered, hindering precise control. Strix Tactic Pro employs the highest-specification N-Key Rollover (NKRO) technology over USB to ensure that every key press is registered, regardless of how many keys are held down at once. When the user needs Strix Tactic Pro to behave like a traditional keyboard, the 6-Key Rollover (6KRO) switch does the job instantly. Strix Tactic Pro is also equipped with 13 dedicated and easy-to-reach macro keys for fast and hassle-free command customization. The user even has the option to reassign F1-F8 as macro keys for a total of 21 one-touch commands. Strix Tactic Pro’s on-the-fly macro-recording key allows actions and keystroke sequences to be captured without interrupting gameplay. In common with Strix Claw, Strix Pro offers a choice of software or plug-and-play hardware modes, enabling advanced personalization and easy installation for gaming on the go. As the perfect complement for the new Strix gaming-gear, ASUS has designed two high-quality Strix-branded mouse pads: Strix Glide Control and Strix Glide Speed. These product names highlight luxurious upholstering that’s tailored for different game styles. Strix Glide Control is finished with a premium heavy-weave fabric, providing a textured surface for games that require fine control and absolute precision. Strix Glide Speed is made for gameplay that needs fast, efficient movement, with a fine-weave finish that allows the mouse to glide swiftly across the entire pad with zero hindrance. 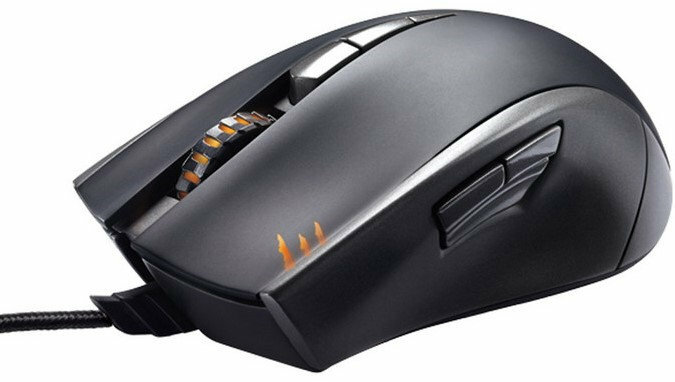 Both Strix Glide Control and Glide Speed work brilliantly with either optical or laser mice and are manufactured with fray-resistant edges, which have been tested intensively for better feel, comfort and durability. As of today, Asus has not disclosed the manufacturer’s suggested retail price for the new Strix gaming peripherals. There’s no word either when would this product actually hit store shelves. But I’ll try to update this post once retail prices become available, and once these gaming gears becomes available to order online. what a terrible brand name? Strix?